On October 6, 2013, I wrote a post about changing my dissertation topic from organizational commitment to web governance in higher education. Since that time, I have completed RES/724, which focused heavily on qualitative methods and designs, to now being enrolled in RES/728, which looks specifically at qualitative case studies. Do you have a web strategy? If so, what does it look like? What elements are discussed? How did it come into being? Who was involved in establishing your web strategy? How often is it updated and by whom? Do you have web policies, procedures, and standards for content, design, and technology? What does it look like? What kind of support does the web receive (staffing, funding, etc.)? How do you measure business objectives related to the web? What metrics are used? How involved are the administrators in this process? What are your challenges related to governing the web infrastructure? What are your successes? What issues did you overcome? What problems do you foresee coming? In addition to interviewing web professionals, administrators, and others closely related to the web, I plan to also review documents (policies, procedures, manuals, and guides) and observe how universities manage the web asset. To establish a robust research project, I would like to do a comparison case study where I look at different universities for common themes. The result of this study will be to further web governance within higher education and develop a model by which web professionals can apply within their own organizations. While the concept of web governance is not entirely new, as I am aware of a few colleges and universities that are pushing it, this study will help further the concept. I would love to get some ideas and discussions going around this topic. Hey, maybe even initiate a small community around the idea, assuming there isn't already one out there. 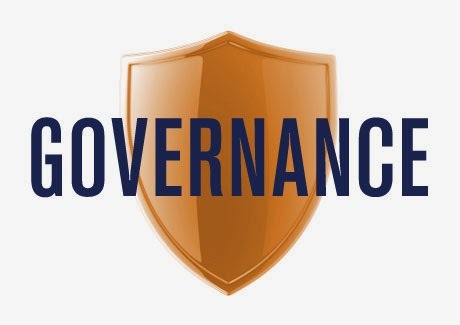 If you have some insight, experiences, or stories that you would like to share regarding web governance in higher education, or business in general, please leave your comments below.